The build is really cute, they had it in Staines yesterday. However even though the bags say 4+, the shop assistants were classing the activity as 6+, so only my eldest could join the build, whilst my 4 year old wasn't able to join. Fair do the age cut off needs to be somewhere to stop dad's just doing it for their 1 year olds... We did the easter egg hunt around the store instead and I bought her a treat so she had something when we left too, so everyone was happy. Just something to remember if you have younger siblings. 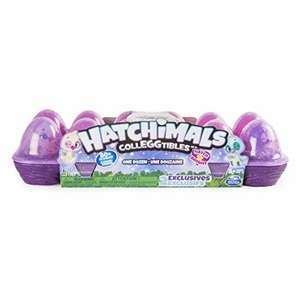 Say hello to your new Hatchimals CollEGGtibles 12 Egg Carton. It’s filled with your favourite Hatchimals characters and all-new characters from season 4. The whole range is circa 75% off on the site. Lol possibly £10 when they were popular 5 years ago but The Entertainer is stretching the truth a bit there! Went to local branch on Saturday. Luckily, they had the ones I wanted (Arnold &amp; Helga) in stock. Thetoyshop.com The Entertainer toy shop. Match Attax - Box of 24 £2 packs for £24. Instore and online. Clearing stock now, has been in store £2 packs for a pound for a month I think. Match Attax Extra is out now, which usually signal clearance of regular Match Attax. This minion looks orange. Has it been out in the sun to long? The Entertainer was launched in 1981 by Gary and Catherine Grant who opened their first toy shop in Amersham, Buckinghamshire. The premises they took over had previously been known as The Pram and Toy Bar. In 1985 they opened a second branch of The Entertainer in Beaconsfield, Buckinghamshire. The Entertainer uses two distribution channels, its online store and its high street retail outlets. The Store Finder on the Entertainer website includes a world map with their bricks and mortar stores flagged for you to see. You can also search by regional or international locations, and by town, city or postcode. Action toys and figures: This section includes hero figures from well-known film franchises like Star Wars and Marvel, action figures from cartoons, and role-play toys like dress-up outfits, shopping trolleys, and masks. Dolls and soft toys: Here you can find a range of teddy bears, dolls, and other soft toys. There are also matching accessories like clothes, baths, and pushchairs. 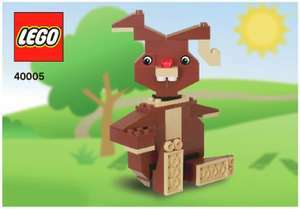 Lego and construction: With larger complex kits and those which are easier to assemble, this section has a wide range of building toys. Collectables: Here you can find a selection of limited edition or rarer toys, including cards, play sets, and figures - some of which are exclusive to The Entertainer. Electronic and educational: This category covers both pre-school toys and those which are suitable for older children; it includes remote control cars, interactive play sets, and cot mobiles. 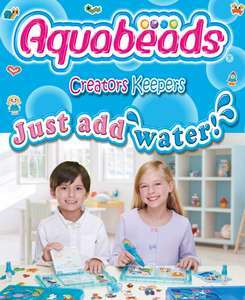 Arts and creative: This area features an extensive range of kits, sets and craft packs, including jewellery making, painting, and dough modelling. Games and jigsaws: Shoppers can choose from a range of board games and jigsaw puzzles, some aimed at younger children and others suitable for all the family. Baby and preschool: This collection includes toys for children aged between 0-6 months and up to 5 years old; it covers bath toys, vehicles, wooden puzzles and walkers. Outdoors: Here you can find swings, slides, playhouses, and pools for the back garden, as well as scooters, skates and bikes. Cars and trains and planes: You have a wide choice of vehicles in this category, from complex toys that have tracks and a remote control function, to simple hard-wearing vehicles that are suitable for younger children. The Entertainer has a large sale section with offers from every range. It runs a regular Crazy Clear Out Time, where toys are reduced by up to 60%. The Entertainer also regularly publishes discount codes on specific toys, ranges, or brands in their Sale section. The reductions vary between 25% and 60%. On Black Friday thetoyshop.com, promotes a variety of brands and types of toy which have been hugely reduced for one day only. If you'd prefer not to open a sales account when you make a purchase, you can select the items you need and then proceed to the payment screen as a guest. You can sign up to receive newsletters from The Entertainer and they release a catalogue aimed at the Christmas market towards the end of October, which can be requested by contacting their customer services team. The Playground Club is a scheme aimed at parents and children, The Entertainer use this page to provide news about their forthcoming promotions, the latest toy releases and details of events that are occurring in store. They stage many meet and greet days across the UK where children can see their favourite characters, and the dates are all listed here. The Playground Club page also has activity sheets for children and a link to their Disney Collectors Club. Furthermore, The Entertainer offers a Present Finder on their website, which helps you to find a fitting present for the right gender, age, and budget. When you pay online, The Entertainer accepts Visa credit cards, Visa debit cards and also MasterCard. If you have a PayPal account you can also use that to pay for your goods. There are Entertainer gift cards available to buy and these can be spent in store or online. The store has four types of delivery method for customers to choose from. Firstly, there is Standard Delivery which is free on orders over £40 or costs £3.99 for orders under that amount. It's available Monday to Friday and usually takes 3-5 working days. International deliveries come under this heading, but vary in cost. 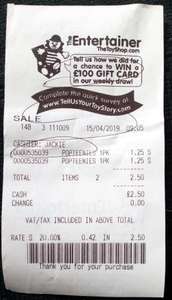 The second option is Click and Collect, this service can be used Monday to Saturday depending on the opening times of The Entertainer store where you will be collecting the goods. You can sometimes collect in as little as half an hour, but if the item is not in stock it will arrive in 1-3 working days. The third option is Express Delivery, this costs £4.99 and shoppers need to order by 7pm for delivery the next day. For orders sent at other times, it could take between 1-2 working days. This is available for the UK mainland only. The final option is Shutl delivery where orders are dispatched in as little as 90 minutes from your local store, Monday to Saturday. This is only available for certain postcodes and if the item is in stock, you'll be notified of the expected delivery time at the checkout. Goods must be returned in a re-saleable condition within 28 days of purchase. Start by logging on to your Entertainer account, then printing off a returns form and filling it in. Customers are liable for the cost of return and it's advisable to ask for a proof of postage receipt when the parcel is sent. Alternatively, you can take return the goods, along with your proof of purchase, to an Entertainer store. Refunds are issued using the original method of payment, be it PayPal, credit card, etc. They also have a FAQ page for customer queries. If you'd like to keep up to date with all the latest deals from this company, our special TheToyShop.com (The Entertainer) hotukdeals page has all the news you need.